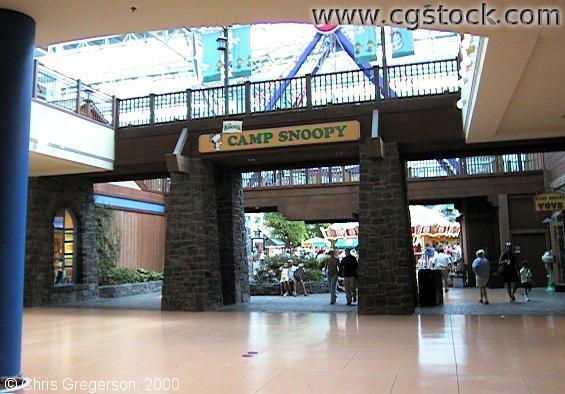 This is the north entrance to Camp Snoopy, inside the Mall of America. The "Skyscraper Ferris Wheel" is visible in the background at the top of the frame. The "Americana Carousel" is in the background near center frame. The section of the mall behind you is called "North Garden".